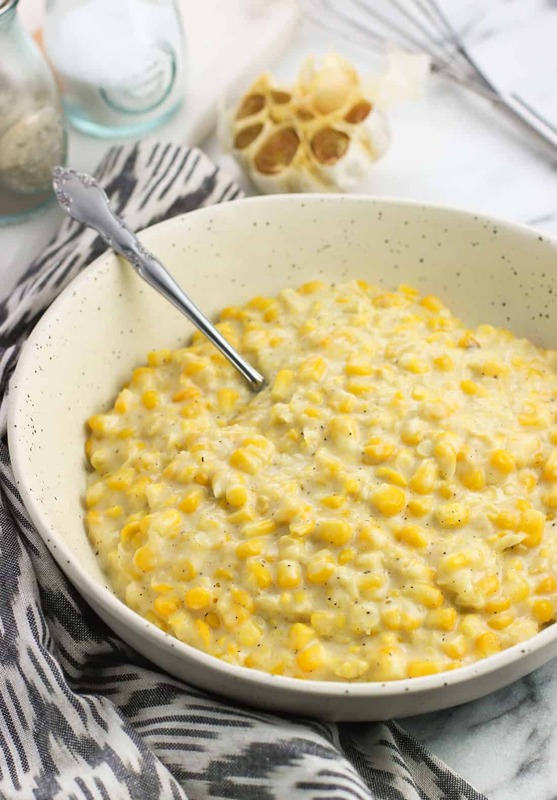 This roasted garlic creamed corn recipe is lightened up and creamy as ever making it a smart holiday (or anytime) side dish option. The addition of roasted garlic is a simple step that adds so much to the flavor! Like many things (fried okra, pimento cheese, banana pudding…) it took moving to the South to get into creamed corn. 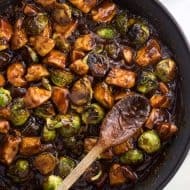 For one I never really saw it on restaurant menus and to be honest, I’m having a hard time even remembering it gracing our Thanksgiving menus. That last part is probably because I was obsessing over the stuffing, but still. Not a whole lot of creamed corn in my memory bank. Down here though, creamed corn is a side dish option all over the place, and I’ve learned that a) I really like it, and b) the thicker the better. With our work schedules the last few Thanksgivings have been unconventional – one year we made a big pot of hearty marinara sauce with meatballs + sausage and another we grilled turkey tenderloin – so this year we’re leaning more traditional with our festive eats. 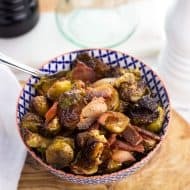 Well, traditional as long as you allow the addition of garlic, and roasted garlic at that, to this classic side dish. Roasted garlic is one of those things that sounds fancy but is seriously a breeze to prepare. Peel most of the skin off of one whole head of garlic, slice off the very top, then drizzle it with olive oil. Wrap it with foil and roast for forty minutes. That’s it! The garlic cloves become a deep golden-brown color and smell absolutely incredible. 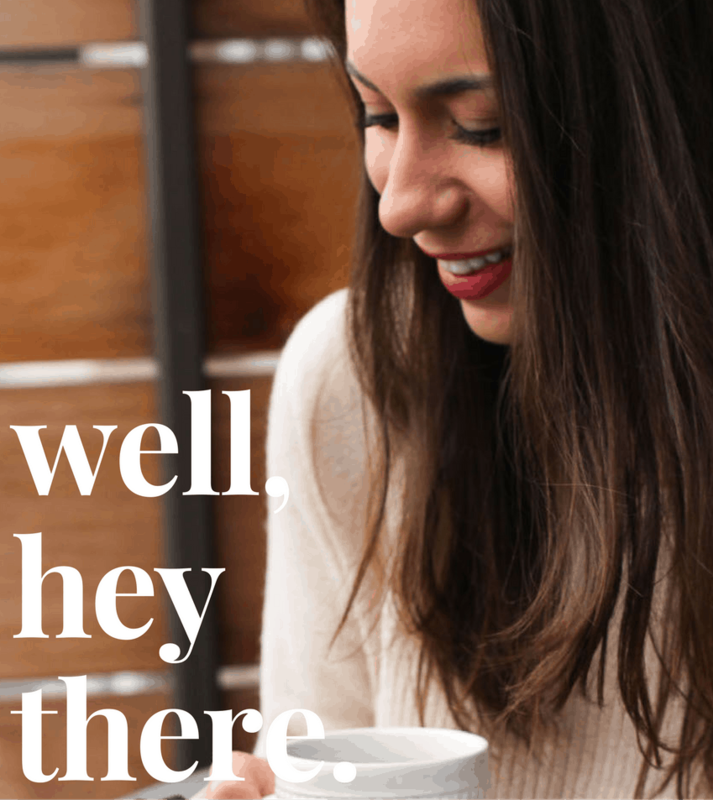 More is more (usually) when it comes to garlic for me, but I also love the mellower garlic flavor that roasting it brings about. The roasted garlic cloves are perfectly mashable, making them a versatile addition to just about anything you’d typically use garlic in. 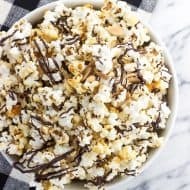 The roasted garlic flavor of this roasted garlic creamed corn isn’t designed to be overwhelming – four cloves of roasted garlic added a nice and mellow caramelized garlic flavor without it getting in the way of the other ingredients. 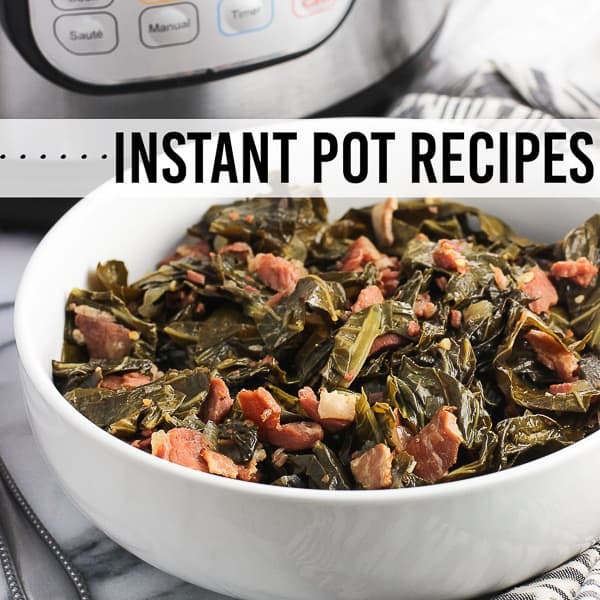 Take a taste once it’s at the end of its cooking time and see if you’d like more added. I think it plays really well with the natural sweetness from the corn and the tiny bit of sugar in here. At first I didn’t think sugar was necessary, but found this creamed corn missing something without it. 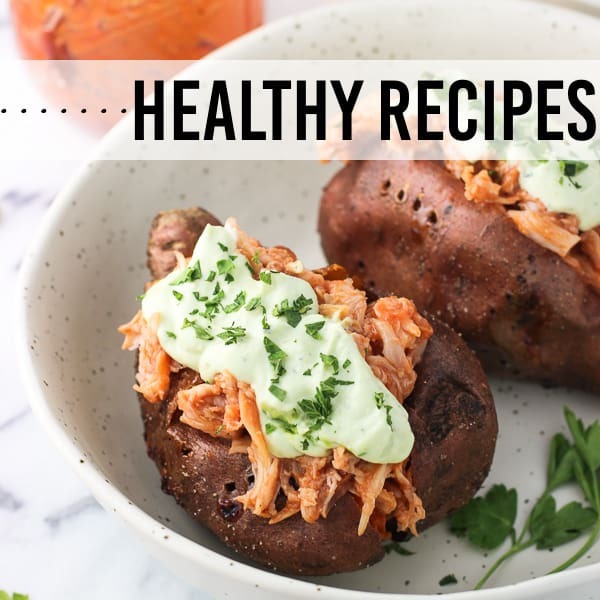 It balances out the bold savory flavors nicely, so please don’t skip it! 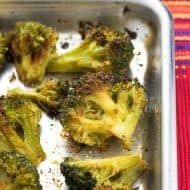 As the roasted garlic will stay in the fridge for 1-2 weeks, you can roast the garlic ahead of time to speed up this recipe prep. Please use your preferred variety of corn! 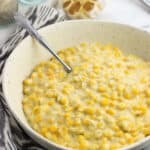 I’ll be honest – I’m not a corn snob here and have used both canned sweet corn and frozen and thawed corn, so use what is convenient and available for you. 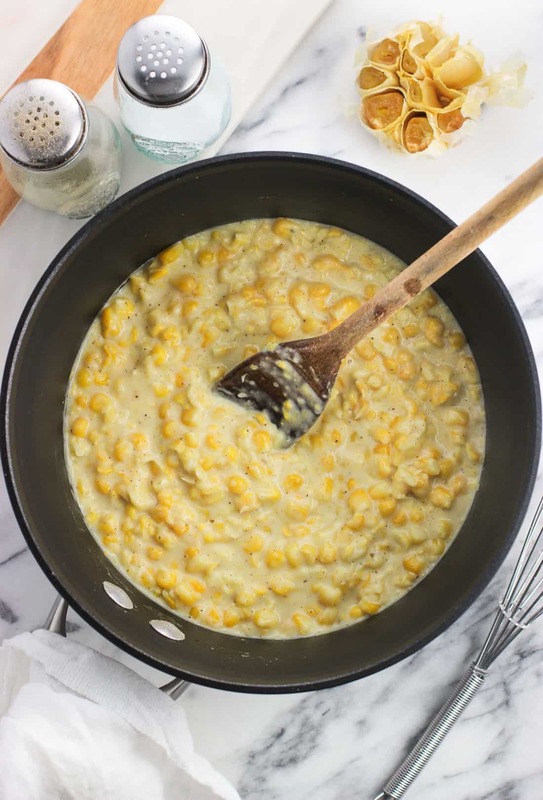 Once all of the ingredients are added to the saucepan, heat until this roasted garlic creamed corn is as thick (or thin) as you like. I removed one cup of the creamed corn, pulsed it in the food processor, and added it back to the saucepan to thicken it even more. Just be careful transferring hot liquids! Preheat oven to 400°F. Remove all but the innermost layer of garlic skin and slice off the top 1/4" or so of the garlic. 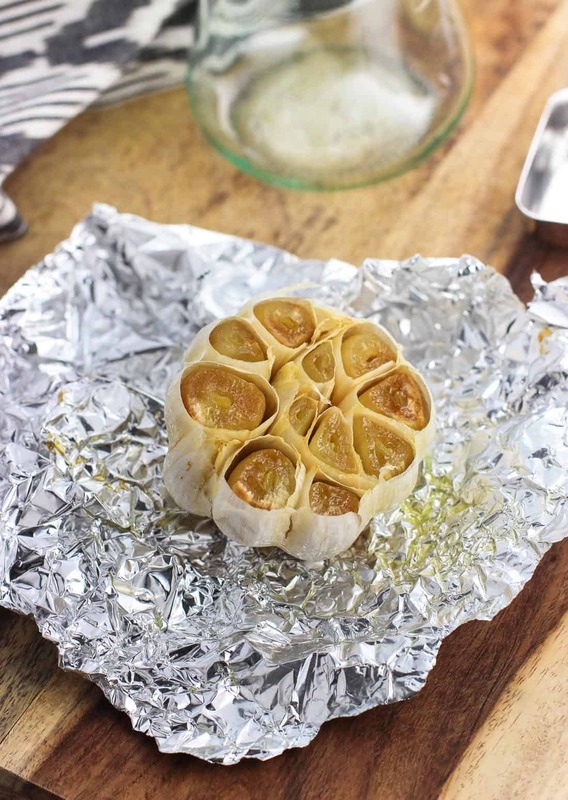 Set the garlic on a sheet of aluminum foil. Drizzle olive oil over the cut side of the garlic, making sure that the oil gets down into the nooks and crannies between the cloves. 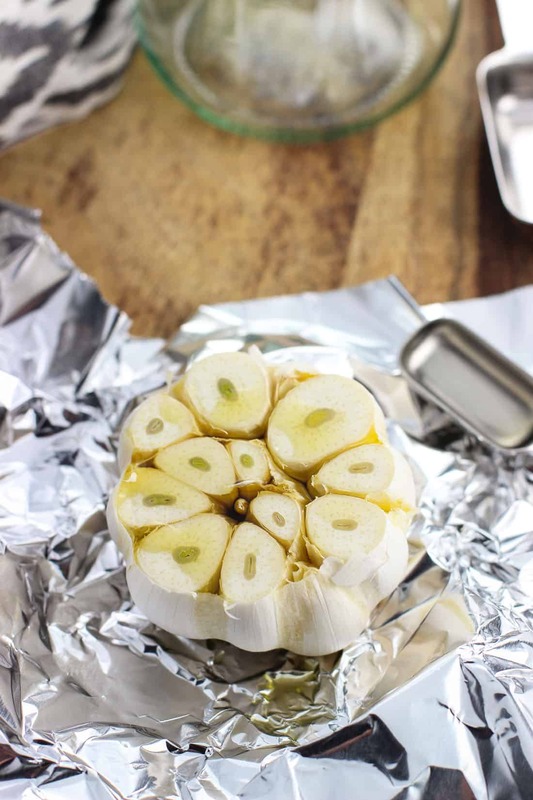 Wrap the garlic well in the aluminum foil and place in the oven. Roast for 40 minutes, or until the cloves are deep golden and very easy to insert a toothpick or tester into. Set aside. Melt butter in a medium saucepan set over medium heat. Add mashed roasted garlic cloves, corn, cream, sugar, salt, and pepper and stir to combine. Let cook for 5 minutes until the corn kernels are tender. Whisk milk and flour together until smooth and no lumps remain. 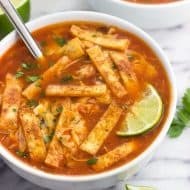 Pour into the saucepan with everything else and stir to combine. Let cook for an additional 5 minutes or until thickened to your liking. Then remove from heat. Carefully transfer 1 cup of the roasted garlic creamed corn to a food processor and pulse until mostly smooth. Add back into the saucepan and stir to combine. Serve while warm. Leftover roasted garlic cloves can be stored in the refrigerator for future use. Likewise the garlic can be roasted ahead of time to speed up this recipe the day of. 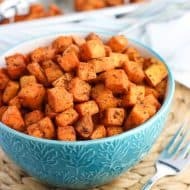 Hi there, I don’t have my own tried and true cornbread dressing recipe, but I’m thinking of giving this one a try: https://spicysouthernkitchen.com/southern-cornbread-dressing/ <--it looks to be traditional and spiced just right. I love cornbread in stratas/breakfast bake recipes, so I've had a nagging craving for a full on cornbread dressing. 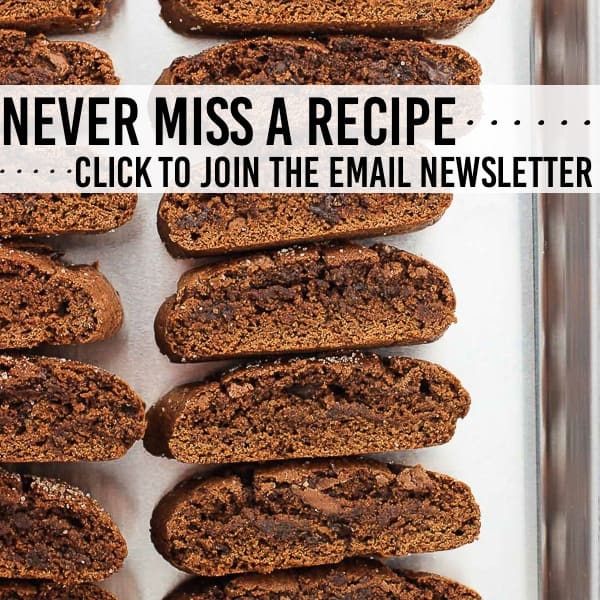 Let me know which recipe you settle on!